Left Handed Practice is a unique style among a set of people who are born with the sequence of left-hand habit. 10% of the global population is left-handed as per stats and most of those people are considered skilful in their particular field. It is evident in the sport - cricket as the left arm players deliver a promising performance in their games. 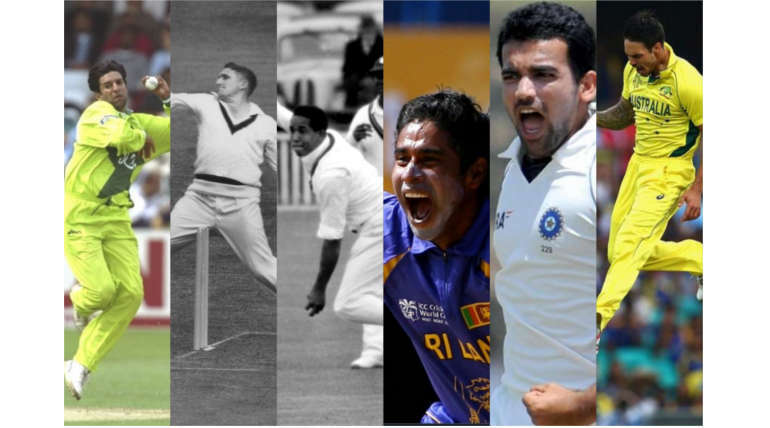 Now let’s see some deadly world class fast bowlers who are left-handed and ruled their certain period in their team by giving trouble to the opponent batsmen. The Pakistan Fast bowler can be considered as the greatest of fast bowlers going by his skills in the department. His variations in the ball on air, terrific Yorkers and seam lengths just prove that he is best in the business. Most of the cricket experts vote him for the best of all time bowlers. Alan Davidson is an Australian Fast bowler who was seriously considered as the best bowler before the period of Wasim Akram in his time. It is hard to face his balls as it takes through the wicket easily by the time it is delivered. He has a record of conceding just 2 runs per over in his Test career. Known to be West Indies’ one of the most prominent all-rounder, till now his absence can be felt in the team. Apart from his batting class and acrobatics, Gary Sobers was an incredible bowler who controls the speed of the ball at ease and takes wickets consistently with varying deliveries. The furious Srilankan Fast bowler nails each ball with variations and consistent pace to confuse batsmen. Vaas was a danger for the batsmen who is mostly unpredictable and quick with his arms to reach the stumps. He got 855 wickets in tests and ODI career and an all-time best figure of 8 for 19 against Zimbabwe. The Indian Bowler is undoubtedly a gifted player for the team as he set a benchmark to be followed by the upcoming bowlers. Though injuries took a toll in his career, each time he came back and proved his skills with the ball more than anybody and stumbled the opponent batsmen with his aggressive bowling. Mitch is one bowler who made the most use of the pace with a deadly bowling action and played with the facing batsmen. He used brute-force technique to deliver a ball at high speed of 150 kph consistently and terrified the batsmen. Mitchell Johnson was unpredictable both with skills and his career as he was always in the game whenever he decides.